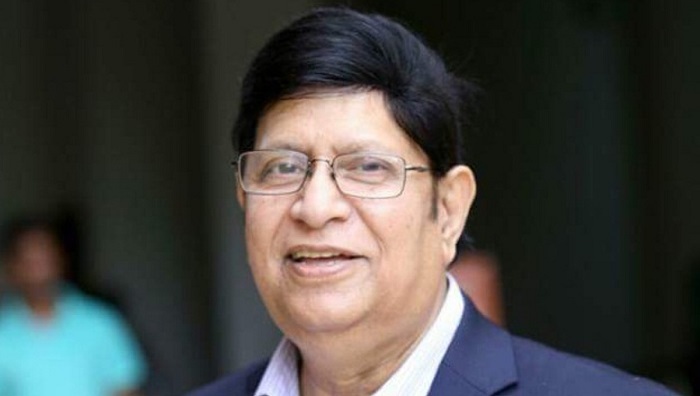 Foreign Minister Dr AK Abdul Momen on Friday said US entrepreneurs are very keen to invest in Bangladesh's energy sector which has huge potential. "Americans are very keen to invest in the energy (sector) and they told me that General Electric Company is coming here with a huge investment offer," he said. Dr Momen who recently visited the USA and had talks with many high officials, including US Secretary of State Mike Pompeo, came up with the remarks while talking to reporters after a meeting with Bhutanese Prime Minister Lotay Tshering at a city hotel. The minister said he told the US officials that Bangladesh always encourages the diversity of investment and trade. About his meeting with the US Secretary of State in Washington DC on April 8, Dr Momen said it was very fruitful where they talked about how to make Bangladesh's current pace of development sustainable. He said he urged Mike Pompeo to encourage his country's businessmen to invest in Bangladesh's marine area to explore mineral resources, including gas, using their sophisticated technology. As per variety of estimates, Dr Momen said, he told Mike Pompeo that there are 34 to 50 trillion cubic feet of gas in the Bangladesh sea area. "We don't have experts and technology to find it. Your companies should come here with investment and get the gas." "I also told him that our economy is about to take off and it's time for you to join us. If you don't join us now, you'll lose the market. If your guys want to make money, they should come to Bangladesh right now. Or else, they'll lose the boat," Dr Momen said. He also suggested Mike Pompeo that his country can increase cotton export to Bangladesh by offering duty -and quota -free access to RMG factories which buy their cotton. "Bangladesh is one of the leading cotton importers in the world since it has a huge apparel sector. You can sell cotton to us at an affordable price," the minister said, adding that Mike Pompeo liked the idea. As they have fear about 'One Belt, One Road' initiative, Dr Momen said, he told them to come here under the Indo-Pacific Business Forum and develop Bangladesh's capacity and infrastructure. "You'll be winner and we'll also be winner." Replying to a question, he said Bangladesh wants to maintain a balanced relation with the USA and China. About the Rohingya issue, the minister said the US Secretary of State said his country is always with Bangladesh and will continue to support the country to find a permanent solution to the crisis.